October is proving to be a hectic month for me, however I am trying my best to enjoy it. There are some things that I wish hadn't happened, like being bullied by some cow in my class, however these things happen and I need to get over it, so I will. Anyway, it is now time to close the 6th poll for Okay! 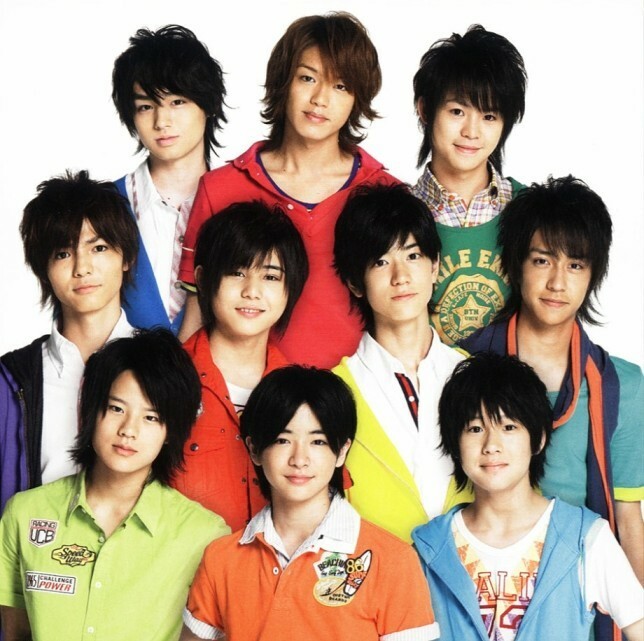 Musume Time, and see which Johnnys Entertainment group is the favourite among fans. I'm honestly not that surprised by the results, because I had a good idea which group was the most popular already, however I am really happy that everyone took part in the poll and chose their favourite Johnny's group. It was honestly strange for me to put up the poll because initially, I was never a fan of the boy groups, but I am trying hard to branch out, so I'm happy I made the poll too. Anyway, enough of the blabbering! Who is the 6th poll winner for the blog!? Congratulations to the group Hey! Say! JUMP! The group took over the poll ranks with 12 votes, charming the girls and boys with their cheeky smiles, catchy songs and charming ways. In second place, we have a tie between popular groups KAT-TUN and Arashi, both sharing 9 votes each whilst in third place, NEWS holds the crown. In 4th place, coming with 5 votes are the cute duo TegoMass, and last, but certainly not least, is Kanjani8, sending you away laughing with 2 votes from their fans. So, congratulations, H!S!J!, you are the fan favourite for this poll! Even though are still the baby group of JE, until that Pedo_Zone group comes into the picture, they are quite popular thanks to their songs and overall presentation. I agree with you all, by the way. And I am really glad that Arashi got second place! YAY! So, now we go onto the question of what the next question will be? Well, I have decided that this will be the question: Which of these Hello! Project songs do you find the most annoying?